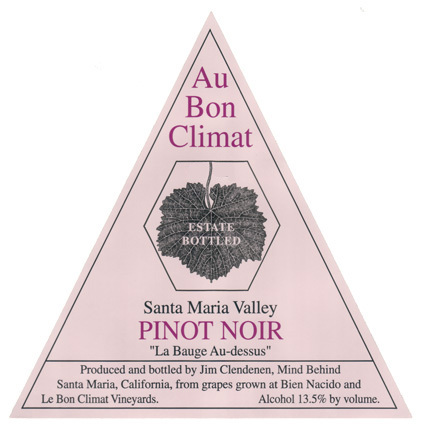 This wine is 100% Pinot Noir sourced from the two estate vineyards; Bien Nacido and Le Bon Climat both at an elevation of about 500-600 feet, with a south-west facing orientation and with clay loam soils. The Bien Nacido is a mix of clones 115, 777, 113 and 114, and the Le Bon Climat is a small amount of Mt. Eden clone and a majority 667. This wine is fermented in open top tanks, with about 25% whole-clusters and daily manual punchdowns. The wine is then transferred to French oak barrels, predominately Francois Freres, (about 50% new) and then aged for about 14 months. The wine is fined lightly with egg whites and then bottled unfiltered.